Touring the two Ferrari factories and the Museo Ferrari was definitely an exercise in wishful thinking, but I also saw it as a brief shot at better understanding the fanaticism surrounding one of the world’s most prominent car brands. I don’t know that much about cars, honestly – I’m still a backwards American who doesn’t know how to drive a stick-shift. 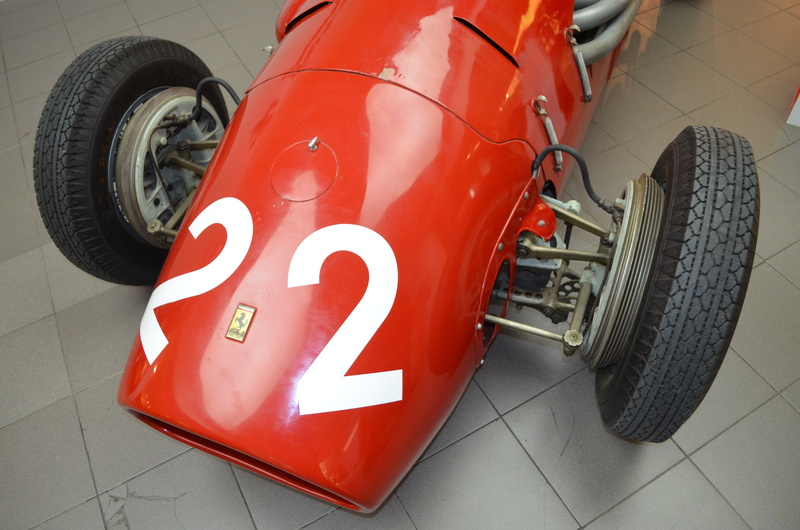 All the technical wonders of Maranello were completely lost on me. 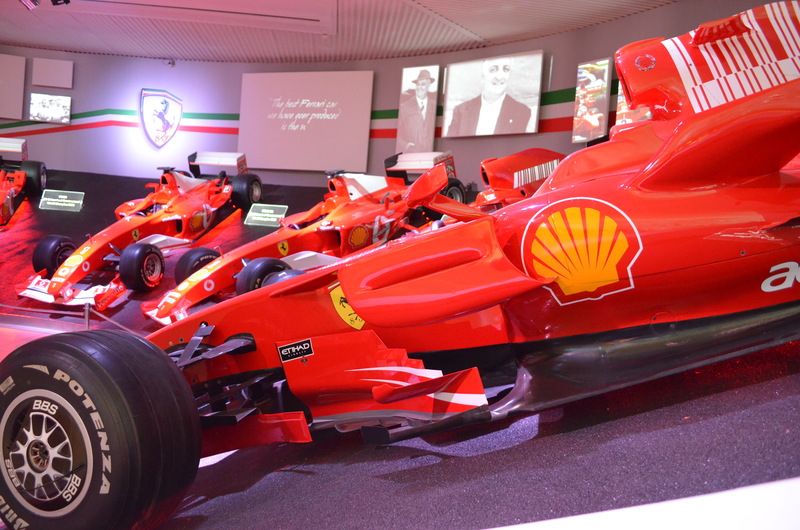 Nevertheless, the modestly-sized museum was impressive, a shining homage to Ferrari’s creations and achievements – elegant and powerful works of engineering, comprised largely of vehicles on loan from collectors, supplemented by the company’s own racing cars and an Oscar night’s worth of F1 trophies and awards. There is something here that borders on religion, an apotheosis of pistons and gears and blood-red sheet metal. 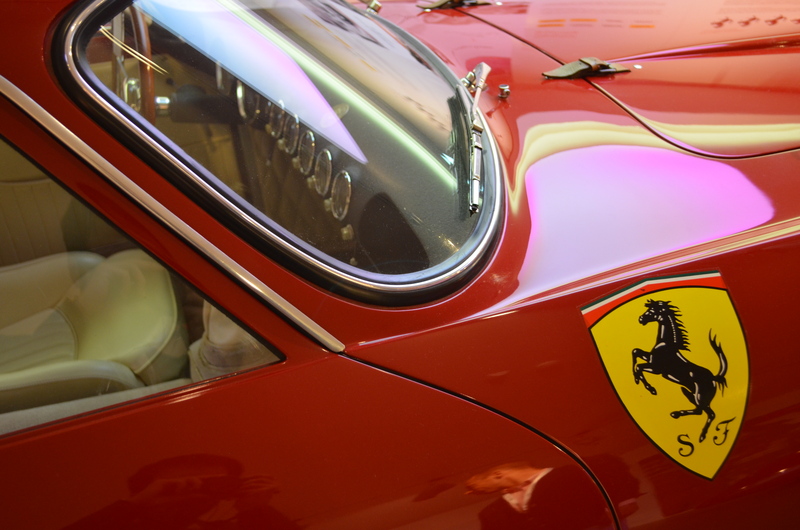 Of the approximately ten thousand people who tour the factory each year, half of those are current or prospective owners, making Maranello a Mecca of horsepower. The first factory, a sterile, robot-filled building, assembles only the engines. The second factory which assembles everything else, produces some twenty-odd cars a day, and is only open from 9 to 5, with one shift, Monday through Friday. By comparison, the Toyota Camry factory in Georgetown, Kentucky, has three shifts that run all twenty-four hours – it may be closed one day a week. Ferrari 500 F2. I call dibs. It’s not purely a scale or technical capability issue – the engines and the designs are still some of the world’s best. It’s just that the factories gave off that particular brand of European nonchalance, the maybe-tomorrow kind of shrug. Ferrari will take three years to fulfill the outstanding orders on the new 2013 F12 Berlinetta grand tourer. It seems counter-intuitive to make prospective owners wait that long. And yet there is a three-year waiting list. The factory’s blasé atmosphere seems to hold true to Enzo Ferrari’s original disinterest in mass production, selling just enough cars to feed his racing operations. It begs the question of whether there is a tipping point between letting demand far, far outstrip supply and showing a certain disregard for the retail consumer. Ferrari is clearly not doing the latter – the factory tours are, for the most part, invite-only affairs – and there are plenty of other ways to keep customers engaged for three years while they wait for a car. But I suppose the distinction is that as long as Ferrari is able to create beautiful machines at the cutting edge of automobile design (supposedly the 730 horsepower Berlinetta is the fastest road car to date, and there are whispers of 920 horsepower supercar on the way), they are afforded that kind of free rein to say, “line up, people.” More than anything, it’s a sign of being just that good. Racks on racks on racks.